LeonK11 is our newest model on In-Charge. He loves showing off and resides in the United Kingom. Currently, he has 14 items for sale in his portfolio which consists of multiple pictures and even a video that is over an hour long. You can check out his profile here or take a look at what he has to offer here. 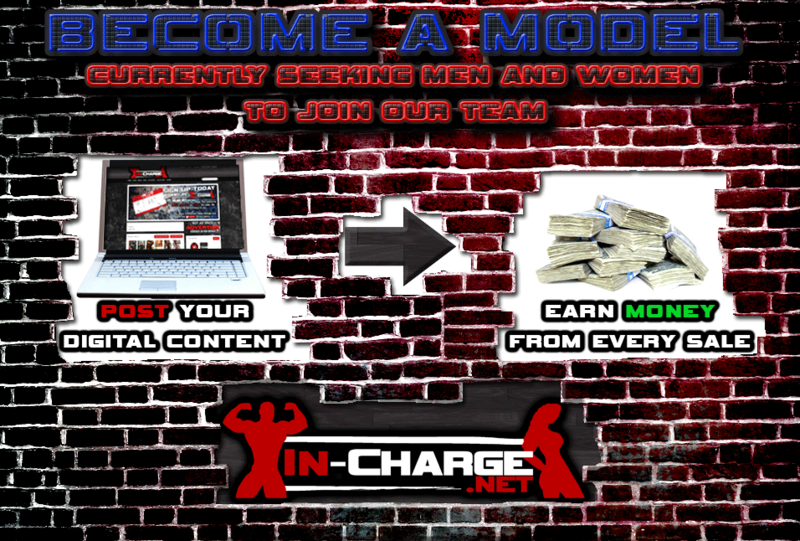 Be on the look out for many more new faces showing up on In-Charge this month. Unlike other websites, we listen to our models as well as our customers. 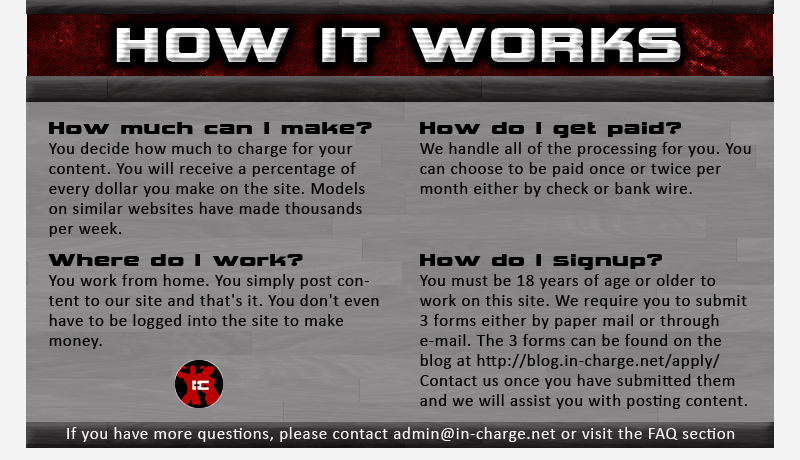 Recently there were complaints on the commission rate which we offered to our models. So to appease everyone, we increased the model commission rate from 60% to 70%! We always take the needs of our models and customers into consideration. Additionally, we are offering FREE unlimited use of our chat room features in the Lounge to all members this month. Normally, only models and paying members receive unlimited chat room usage, but we’ve decided for our first month in business that we are going to offer this service for FREE this month for everyone to test out. Tell your friends and take advantage of this limited time offer. Our site is officially opened! Users can now purchase credits to be used to buy audio clips, pictures, and videos. Our site also offers a video chat room known as the Lounge where users can chat with each other and broadcast their live webcam feeds. Only this month are we offering FREE unlimited memberships to the Lounge. Normally the only our models and paying members will receive unlimited features in the Lounge but for our opening month, we’re offering unlimited features to everyone. At the present time, we are fixing a module on the site which deals with user profiles. So for the time being, use the menu at the top as well as http://in-charge.net/users/portfolio/ followed by the user’s username to browse that user’s items for sale.